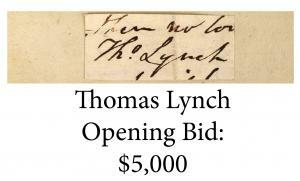 Signature of Thomas Lynch (1749-1779), a signer of the Declaration of Independence as a representative of South Carolina (Opening Bid: $5,000). 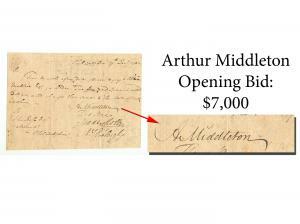 He signed because his father was too ill.
Signature of Arthur Middleton (1742-1787), a signer of the Declaration of Independence and a leader of the American Party in Carolina (Opening Bid: $7,000). Middleton lived in Charleston. 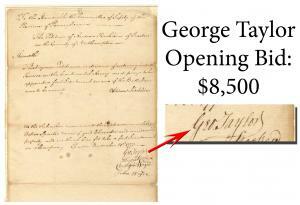 Anyone looking to start, add to or complete their collection of signers of the Declaration of Independence will have that chance in the online-only auction. 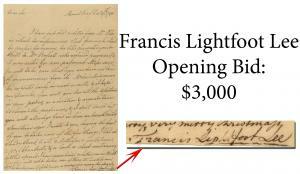 WESTPORT, CONN., UNITED STATES, April 11, 2019 /EINPresswire.com/ -- Anyone looking to start, add to or complete their collection of signers of the Declaration of Independence will have that opportunity in University Archives’ next online-only auction, set for Wednesday, May 15th, starting at 10:30 am Eastern time. 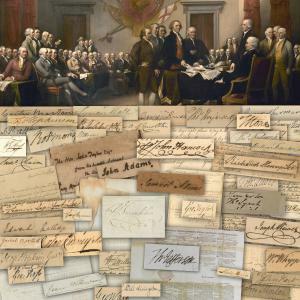 All but one of the Declaration’s 56 signers will be offered as individual lots – not as a set – many for the first time.